Okay, there’s one born every minute. 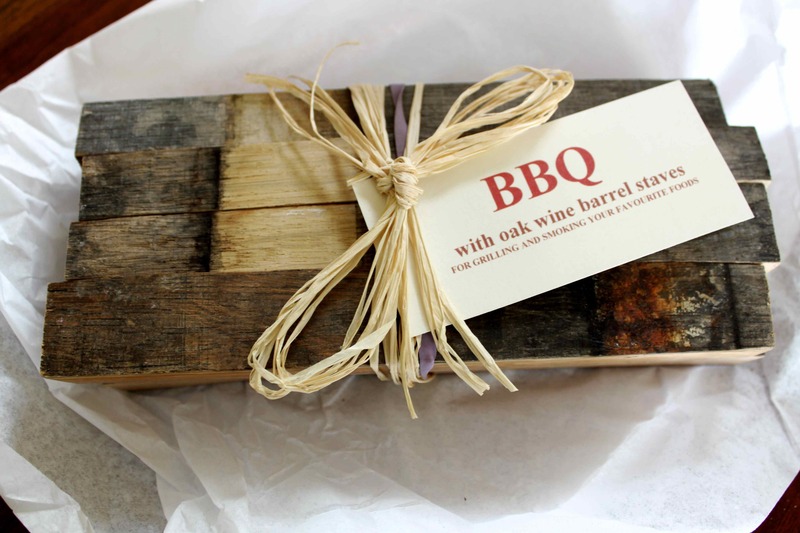 I soaked two of these – they are made from the staves of used oak wine barrels – in water (the label suggested soaking them in wine as an alternative. Yeah, right) and put them on the charcoal grill when I made a flank steak for four out-of-town colleagues looking for a free meal. Have to say, I couldn’t taste the wine (in the meat at least). The oak, however, gave the meat an intense smokiness and everyone raved about the flavour. So, we decided to do our best to empty another barrel for future barbecues. Let me know if you need help getting rid of the wine. Next time we open a barrel, you’re invited! I have gotten rid of my gas BBQ in search for the authentic “caveman flavour”. I have access to some cedar but have not tried the hot/smoking method yet. How did you balance heat output with the cedar steamy smokiness? Thanks, Liam. I have kept my gas grill for the many times I want barbecue but am too lazy to get the charcoal grill going (then again, I tend to collect grills and smokers). I have only ever used cedar for planked salmon so I don’t how it would work as smoke. I would start with some mesquite or hickory chips. Just soak them for an hour and throw a handful on the charcoal – you’ll soon get a sense of how much you like.